The Alliance South West Service Hub covers a wide area from Cornwall up to Bristol and Bath. We actively support nearly 700 Alliance members who manage a range of childcare services such as parent and toddler groups, pre-schools, children's centres and nurseries. We also provide specialist early years support and advice to families with young children, practitioners and professionals. For over 30 years the South West Service Hub has delivered childcare services to meet the needs of local communities across the area. We provide a wide range of services from delivering a highly regarded EAL Advisory Service to a Sowing and Growing Family Learning Project. We also offer a competitive Payroll Service. Our training workshops cover everything related to the early years from back-to-basic courses such as Managing Your Ofsted Inspection to more focused training around promoting positive behaviour and voluntary management committee training for pre-schools. A comprehensive list of all of our training can be found at Our Services/Training & Learning. Don't feel alone with the new Ofsted Framework! Be ahead of the game and join us for an interactive webinar with Alliance Quality Improvement Director MICHAEL FREESTON and Policy and Standards Manager MELANIE PILCHER, focusing on what the new Ofsted framework will mean for you. Contact us on 01278 691719 or southwest@eyalliance.org.uk to book a place. There will also be an opportunity to ask questions relating to your own setting as well as networking with other providers, an information goody bag to take away, refreshments and a chance to find out what else is happening locally within the Early Years Alliance. The UK Bilingual Toddlers Assessment Tool (UKBTAT) was designed to help Early Years practitioners in the UK to decide whether a 2-year-old bilingual toddler is at risk of a language delay, or not. It provides you with a simple outcome: in which percentile is the child in English and the Additional Language, for production and comprehension. 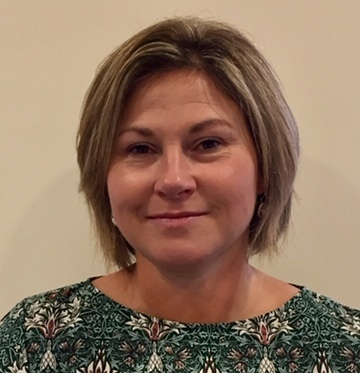 Service Manager for the South West Service Hub, Juliette Moran, can be contacted directly by email juliette.moran@eyalliance.org.uk, or by telephone on 07849 093513. The South West Service Hub supports Alliance member settings from Cornwall up to Bristol and Bath including pre-schools, nurseries, toddler groups, childminders and individuals. The EAL team in Somerset are continuing to deliver their project to work with Early Years Providers to support EAL or bilingual children in their settings. We are pleased to be able to offer a wide variety of workshops to early years practitioners and charity trustees. 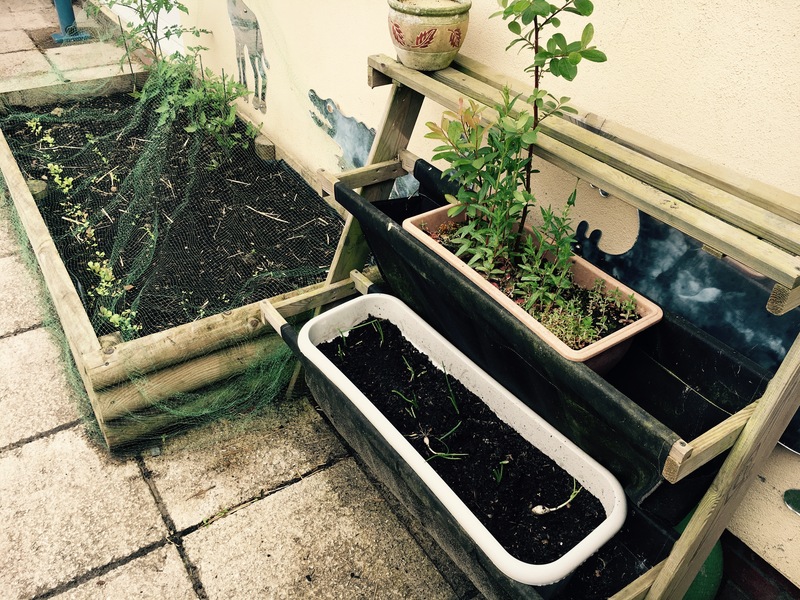 Sowing and Growing is an Alliance Family Learning project which is an informal and fun programme about developing and nurturing a 'happy,healthy lifestyle'. Our vision is a society where every child enjoys the opportunity to learn through play. We believe families should be at the centre of policy-making and empowered to become fully involved with their child's learning and development. To support early years providers deliver high quality, affordable and sustainable care and learning to families, and to ensure that all children, regardless of background, are given the best possible start in life. Provide high quality training support and advice. This page will be updated with further information soon. We have been providing high quality support and advice to providers of early years education and childcare for more than 50 years. Our national Information Service team can also answer questions, give advice and generally offer expert support for member settings. The team is available 9am – 5pm, Monday to Friday, and you can contact them directly by phone on 0207 697 2595 or by email at info@eyalliance.org.uk (members also have access to the 24 hour legal helpline Law-call for specific legal questions). Our members can also visit the members' area on the website to access free resources on a wide range of early years issues and common questions - our free mini-guides on a range of topics are really popular for this and are all located in the members' area. Our special partnership with EduCare, the award-winning CPD-training provider, also gives Alliance members FREE access to valuable, distance-learning courses every year. This term we have introduced a new element to this service by offering ‘Focus Work’ to individual settings. Sharon has worked with two settings in Taunton and Louise has worked with a setting in Yeovil and Langport. The work involves spending time in the setting for a specific amount of time (typically 1 session per week over a half term) and assessing the needs of the EAL children and providing activities and resources to support them. Feedback on this has been good from the settings and they have found it useful to have as EAL specialist on site for advice and support. This mirrors the work that our translation and interpretation partners Diversity Voice and DA languages provide. We have found each setting’s needs to be very individual which makes the work fascinating for us. Personally, we have loved the opportunity to spend time working directly with children and to use the resources such as the PenPal with dual language books and the Communication Boxes. These resources are available around the county and promote language development for all children which is EAL friendly and inclusive. We have already got settings signed up for the next two half terms, but if you are a Somerset setting and would be interested please contact us. We are always looking at ways of expanding our EAL work into other counties, so please contact us if this or any other aspects of our service sounds like something you would be interested in. The UKBTAT was designed to help Early Years practitioners in the UK to decide whether a 2-year-old bilingual toddler is at risk of a language delay, or not. It provides you with a simple outcome: in which percentile is the child in English and the Additional Language, for production and comprehension. We hope to have similar articles published in other Early Years journals and publications in the coming months. Families from the Bodmin area have been enjoying various activities linked to “Sowing and Growing” - The Early Years Alliance, Family Learning – Routes to Improved Health and Well Being project. This is the third successful group to be run in the town. Taking part in the project gives adults and children the opportunity to come together and plant seeds, prepare food to share and enjoy related stories and craft activities. On the 21st March, the group went out and about and visited the Bodmin Plant Nursery and Garden Centre. Owner s Linda and Mark Lawlor gave families a behind the scenes tour and the children learned about what plants need to thrive. Afterwards there was time for everyone to get their hands dirty planting sunflower seeds. The visit ended with some delicious cake and a drink in the café! The project (part funded by the European Social Fund) will continue until December 2019. “Sowing and Growing” aims to improve the health and well-being of families with children under 5 years of age throughout Cornwall and the Isles of Scilly. Sessions run in pre-schools, toddler groups and Family Hubs. Many of the adults who have taken part have continued onto training with both the Early Years Alliance and other providers and some have progressed into volunteering and paid employment. If your setting is interested in hosting a future course please contact Dawn on 01208 269512. The EAL Advisory Service in Somerset has had an extremely busy November! We attended 5 events in 12 days which was quite an achievement. We attended the launch of a new Early Years Community model in Taunton, where we promoted all aspects of the work of the Alliance but particularly focussed on our training and development workshops. On Saturday 10th, without unloading the car, we attended a community event in Bridgwater celebrating 100 years of Polish independence. This was a really well attended event and a lovely opportunity to meet members of the Polish and Eastern European community. We showed them our popular EAL language flashcards that we use as a communication resource in Early Years settings and had them “proof read” for accuracy by Czech, Portuguese and Polish nationals! The highlight of the event for us was being invited to sample some Polish, Lithuanian and Hungarian food, which was very tasty. Next, on Friday 15th, we packed up the car again, this time to go to a National Conference in Leeds. This was an event organised by NALDIC (National Association of Language Development In the Curriculum). Our focus this time, was to use the opening to network with other colleagues who work in the field of EAL, to promote the work that we do in Somerset and also to access CPD opportunities. The following Tuesday we attended a regional event organised by NALDIC in Bristol and we finished the month by attending and delivering EAL themed workshops at the Somerset Annual Early Years conference. We hope all these events will have promoted awareness of our work and generate interest amongst a wider audience. Families from around Cornwall gathered to enjoy various activities linked to “Sowing and Growing” at Lanhydrock Memorial Hall recently. The invited parents, carers and children had all taken part in an Alliance Family Learning – Routes to Improved Health and Well Being project earlier in the year. This event was organised to celebrate their achievements. Throughout the day, children enjoyed such activities as face painting, planting a “lasagne pot” with Bodmin nursery, pebble painting with Cornwall Community Re-Paint, and creating leaf rubbings with Little Eden and forest school activities with the Alliance. They particularly enjoyed getting up close and personal to a burrowing owl called Peanut (who brought the Bird Lady of Fowey with him)! The project (funded by the European Structural and Investment Fund) will continue until December 2019. “Sowing and Growing” aims to improve the health and well-being of families with children under 5 years of age throughout Cornwall and the Isles of Scilly. Sessions run in pre-schools, toddler groups and Family Hubs and centre on a planting theme each week, coupled with stories, crafts and cooking. Many of the adults who have taken part have continued onto training with other providers and some have acquired volunteering experience and work. If your setting is interested in hosting a future course please contact Dawn Lambert on 01208 269512. Take a look at our new Summer Term Training Brochure to view upcoming courses and their outlines. All 3 hour workshops will cost £35 for Alliance members and £50 for non members. Alliance members in Devon can access workshops for £20 due to having ring fenced funds in place to support these providers. Click here for National Minimum Wage information. Click here for Tax Threshold information. 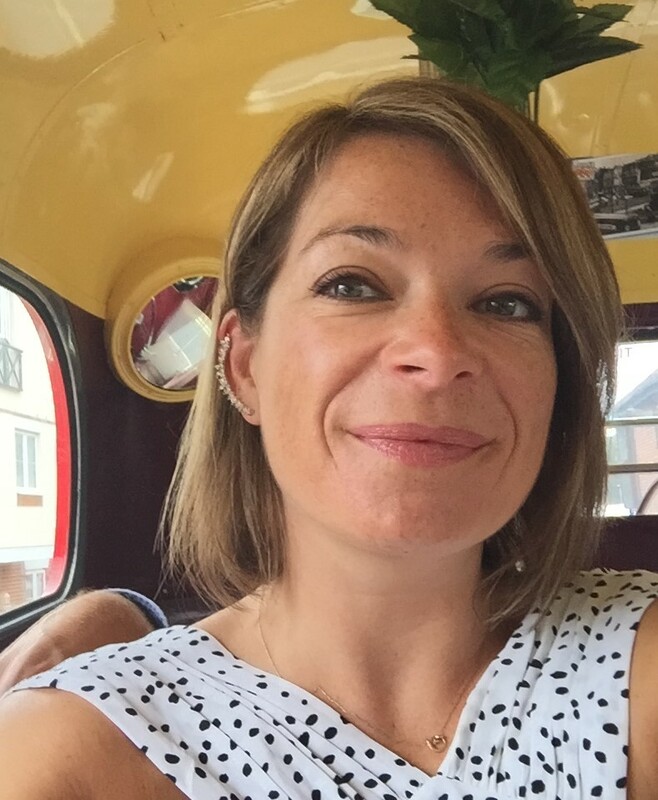 Contact Nicci Hooper, Payroll Manager, on 01392 438977 or email devon.payroll@eyalliance.org.uk for any further information. "This message is a belated thank you for running such an excellent payroll service for us over many years - your attention to detail was very much appreciated. All the best for the future." "I would like to take the opportunity to say a huge thank you to you all for all your kind help over the last two years - any queries I have are always dealt with most kindly and efficiently." Early Birds Nursery is an Alliance childcare provider located in the heart of Bude, Cornwall. We offer places for children ranging from 6 weeks to 5 years and were assessed as 'Good' by Ofsted in November 2017. Our passionate, friendly and well-qualified staff team provide high quality care and learning opportunities for children based on their individual needs and stages of learning. 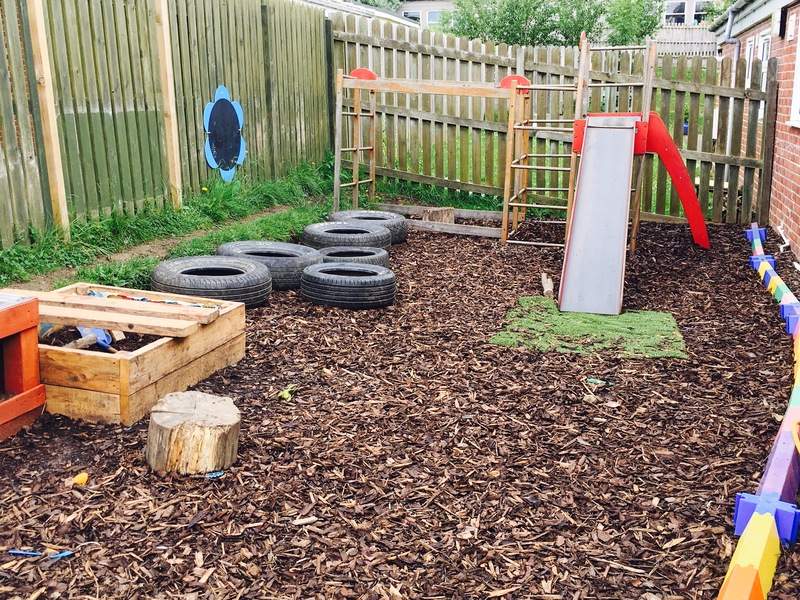 We follow the Early Years Foundation Stage (EYFS) with a focus on learning through play and actively promote learning through the children's interests. 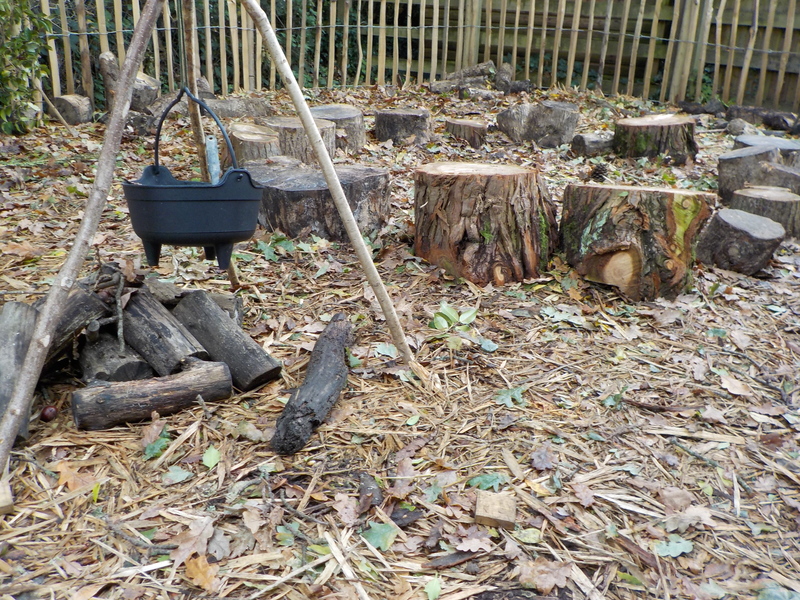 Egloskerry Nursery aims to deliver an early years care and education provision that encompasses Forest School and the Early Years Foundation Stage framework. Enhanced by the Reggio Emilia philosophy, which looks to educate the heart and hands as well as the head. Sessions are child led, by enabling environments to suit individual leaning needs. By giving children the freedom to learn by following their own interests. . The team are highly qualified, giving us the knowledge to facilitate individual lines of enquiry to support and extend play and learning, providing an approach that develops a community where collaborative learning takes place daily. The Alliance directly manages 80 childcare services across England. Visit the Find Childcare page on the Alliance website and enter your postcode or town to find the nearest nurseries to you. Here in the South West the Service Hub manages two settings in Cornwall. For more information click on the links to view their websites. The EAL Advisory Service is funded by Somerset County Council's School's Forum, for children with English as an Additional Language and their families across Somerset. We provide advice and practical support for all early years providers across Somerset to develop inclusive and effective early learning environments, and in particular, develop an effective communicative environment for all children. It raises awareness of the importance of early identification of needs relating to EAL children and families and promotes effective partnerships with parents. We also develop and disseminate resources and training, as well as sharing best practice with the aims of improving outcomes for all EAL children and their families. With an ever increasing population in Somerset of families who have English as an Additional Language we are seeing a rise in the need and demand for documents commonly used in Early Years settings to be translated into a variety of languages to meet the parent’s needs. This page of our website will be an invaluable source of documents already translated that can be used in your early years setting. DA Languages Ltd and Diversity Voice (details below) have also been commissioned by Somerset County Council to provide an individual and bespoke free translating service to Early Years providers across Somerset. We work closely with DA Languages Ltd and Diversity Voice to produce documents that have been requested or are needed. You may contact them directly with your specific needs, but if it is a common need that many settings have requested, please also contact us at the EAL Advisory Service so that we can monitor requests and ensure the best use of resources available. The EAL Advisory Service was commissioned by Somerset County Council to produce a short video which will help and guide parents and families with EAL children through the transition period of moving up to primary school. This video has been produced in English and is available subtitled with the following languages; Bulgarian, Chinese, Filipino, French, German, Hungarian, Lithuanian, Malayalam, Polish, Portuguese, Romanian, Russian, Spanish, Thai and Turkish. We were also commissioned to create a short video aimed at parents, giving brief information about childcare options in Somerset. This has been recorded in English and 10 other languages: Bulgarian, French, German, Italian, Lithuanian, Mandarin, Polish, Portuguese, Russian and Spanish. To accompany this there is a pack of information that providers will find useful when trying to gather and share information with parents and carers who may speak little English. This is also available in the same range of languages on the 'Resources' tab. We have been given funding by Somerset County Council's School’s Forum to purchase EAL learning resources for early years providers to enhance and support their provision. We have chosen resources that will not only give providers access to other languages, for example, dual language books, but also help children who are learning English as an Additional Language develop their communication and language skills, eg. matching games and picture lotto as well as ‘talking buttons’ and ‘talking cards'. Recently we have been able to add 6 story boxes to each centre, 2 each of 'The Journey Home from Grandpa's', 'No Room for Baby Roo' and 'The Animal Boogie'. We have worked in partnership with some of the Learning Support Centres around the county to develop this service for early years providers. Full details of these centres are below, please check with your local centre about their individual lending and extension of borrowing policies to ensure your needs can be adequately met. There are a number of resources available to support practitioners. We have updated and collated many of these below, including the “Supporting Children Learning English as an Additional Language in the Early Years” & “Quick Tips for Helping EAL Children”. This page will be updated regularly as and when new resources are available or updated. We are able to offer your setting an introductory workshop, providing your families with the opportunity to develop their confidence around growing and cooking their own foods? This would be ideally placed within an existing Stay and Play session if you have one, or as an additional session if not. The idea of Family Learning is for parents and carers to enjoy learning alongside their children. Run over 5 to 6 weeks within your setting and delivered by our Family Learning team, we share stories, sow seeds and plants, prepare snacks and quick meals and provide a related craft activity. We modify the course according to the growing seasons. In this way it could complement your termly planning. Sowing and Growing is funded by European Structural & Investment Fund and is therefore FREE to individuals who are currently unemployed or economically inactive.